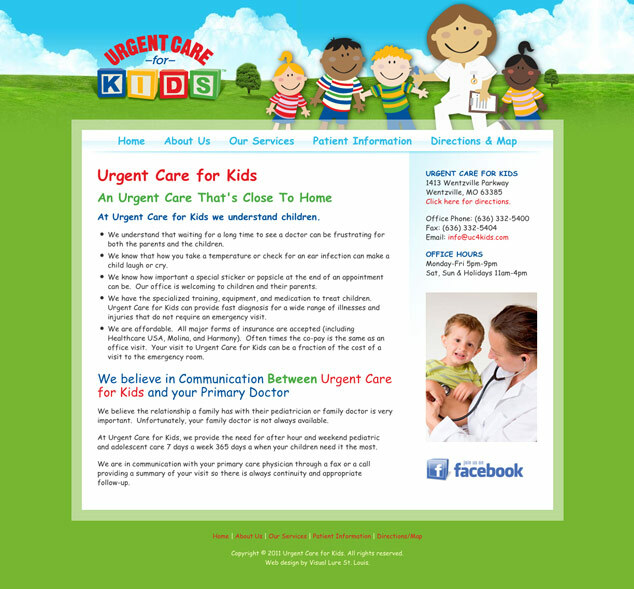 Below is the new website design for Urgent Care for Kids, a children’s urgent care in Wentzville, MO. You can visit the new website at www.uc4kids.com. Visual Lure also designed their logo and identity package. Learn more about our St. Louis web design services or check out our web design portfolio.